The Christians have completely corrupted the Message of Allah Almighty which was conveyed to them through Prophet Essa (son of Virgin Maryam) in the original Bible. 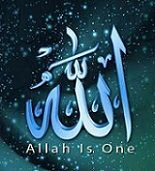 The Divine Message which Allah sent to the people of Essa son of Virgin Maryam was a very Monotheistic Message, same as Islam, which commanded the people to submit to Allah only and none else. Instead, the people changed this Message with the passage of time into shirk and kufr. They distorted and misinterpreted the Message by calling Prophet Essa and his mother as divine. Needless to say, to utter such a falsehood is an unforgivable sin in the Sight of Allah. The Christians, by corrupting their faith, are creating lies against Allah Almighty and His messenger, Essa son of Virgin Maryam. On the Day of Judgment, Prophet Essa will himself testify against the false utterings of those Christians who claim to follow him and who have misinterpreted & altered the Message of Allah. The Noble Quran has already informed us about that. And their so-called christmas and new year celebrations being concoctions coming down from pagan practices of Europe, every christmas season, they deepen their depth of falsehood. - Was December 25 the birth date of Jesus, son of Virgin Mary? - New year celebrations, Halal or Haram? Definitely Haram. - How did idea of christmas tree come about? - The tradition of christmas tree has pagan origins. - Pagan roots: 5 surprising facts about christmas. - Complete rejection of crucifiction of Jesus son of Virgin Maryem. Plenty of thanks sisters and brother. Alhumdulilah, The Almighty has clarified every bit of truth so articulately. And also thanks for those links brother TS. People need to read them; though majority being so dumb and unreflective won't heed, some may. And since new year is approaching, we must again put up the reminder of the origins of this nonsensical pagan custom and this celebration is definitely HARAM.